At Willrich Precision, you can find high quality micrometer stands that make using your micrometer easier when it comes to measuring small parts. The stands are also designed to ensure you get more precise measurements. 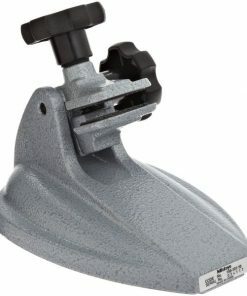 If you are looking for cast iron stands that feature convenient adjustments and can fit most outside or inside micrometers, you have come to the right place. 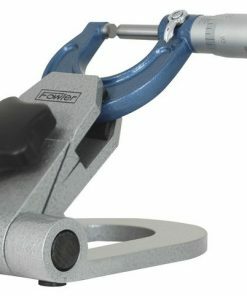 Our micrometer stands will provide optimum reading and part orientation. What’s more, the stands we carry can be used with small hand tools and be placed on benchtops. When you shop at Willrich Precision, you can expect nothing less than stellar! At Willrich Precision, we are highly committed to helping all our customers purchase quality products and that’s why we practice a client-first approach. You can be sure that you will purchase quality products that satisfies your metrology needs within your budget. If you are looking for micrometer stands that can be adjusted to any position or take measurements in the 0 to 4-inch range, look no further than Willrich Precision! Our company has been in the business for nearly five decades and have worked with top brands in the gaging, inspection, and metrology industry. You can rest assured that we carry quality products that meet or exceed both performance and accuracy requirements of international standards. Browse through our comprehensive inventory today and shop with confidence!